A CONVERSATION ON ROY LICHTENSTEIN MITCHELL-INNES & NASH CHELSEA SATURDAY OCTOBER 16, 4 PM Mitchell-Innes & Nash will hold a round-table discussion on the occasion of the exhibition Roy Lichtenstein Reflected at the Chelsea gallery on Saturday, October 16, at 4pm. Participants will include Dorothy Lichtenstein, David Salle, and Graham Bader. Roy Lichtenstein Reflected comprises 11 paintings dating from the early-1960s through the 90s, and a selection of drawings. The exhibition focuses on reflections, mirrors and doubling as a career-spanning motif in Lichtenstein's work. David Salle and Graham Bader have both contributed essays to the exhibition catalogue. ABOUT THE PANELISTS: David Salle is an internationally-known painter whose work has been exhibited widely in museums and galleries since the 1980s. He is represented by Mary Boone Gallery in New York. Graham Bader is an Assistant Professor in the Department of Art History at Rice University in Texas. In addition to his book Hall of Mirrors: Roy Lichtenstein and the Face of Painting in the 1960s (October Books, 2010), his published work includes essays on artists including Andy Warhol, Robert Rauschenberg, and Kazimir Malevich. Dorothy Lichtenstein, President and Co-executor of the Lichtenstein Estate, has been active in the New York contemporary art scene since the early 1960s. After attending Beaver College, she worked at the Paul Bianchini Gallery, organizing exhibitions and projects dealing with emerging Pop art, and with William Copley, editing and publishing portfolios of artists' works for The Letter Edged in Black Press. 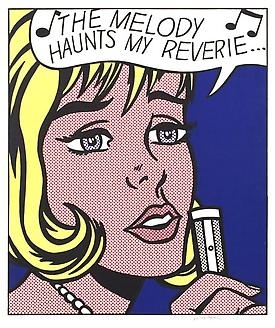 She married Roy Lichtenstein in 1968. The French Ministry of Culture and Communication awarded her an Officier de l'Ordre des Arts et des Lettres in 2001.